We are a free content website for walking in the Great Britain, it also houses our blog that collates the walks of Dan and Rachel and allows you to download the files and information for these walks so you can do this on your own. Feel free to have a look around and check the blog for our most recent walks. Our main aim is to provide free walks around the UK and we will only post walks we have actually completed ourselves. We include a GPX and google maps file with every route to ensure you don't get lost as well as advising the correct map. I hope you enjoy the site, feel free to look around. 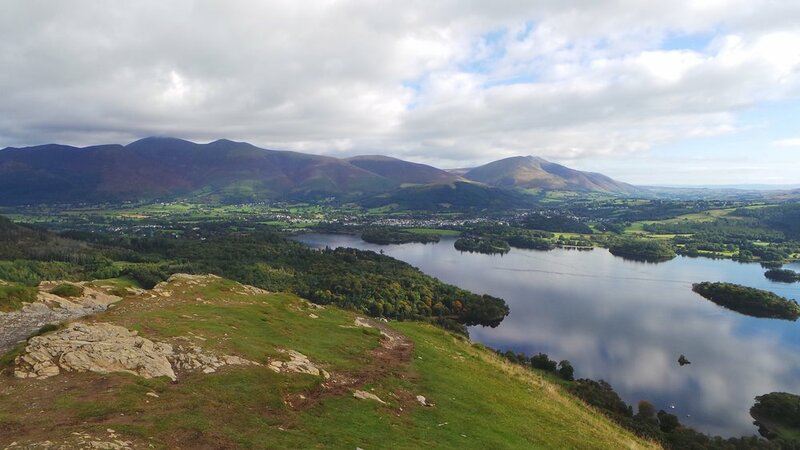 Since 2017 we have been aiming to walk all of the 214 wainwright fells in the Lake District. During 2018 we are aiming to complete the Everest anywhere challenge. Check out our Lake District walks here! Check out our Peak District walks here! Check out of Staffordshire walks here. Check out our Shropshire hill walks here. Check out our Northern England walks here. Check out our Favorite walks here.